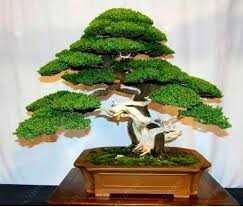 They say practice makes perfect and this is what you have to do to have a fantastic bonsai. Learning the proper way of placing a wire on your bonsai for a beautiful style and shape is just a matter of getting used to it. It means that you have to practice more often. Seasoned bonsai artists would only need a few pieces of wires, and they can already bend and create an artistic shape of bonsai. For the novice bonsai growers, their bonsai may look like they were your tangled hair when you woke up this morning. Those bonsai experts did their part by practicing because a useful technique is the result of months and years of experience by practicing. There is no overnight success; this applies to everything that experience comes with time. Remember that technique and tidiness are essential but do not lose sight of your goal which is to shape your bonsai tree. Bonsai’s that are in training, or those are extremely wired are not for display. Showpieces bonsais are finally formed after the removal of the wires. Putting the wire and bending is a personal preference. It depends on which process you are most comfortable with and would let you express your creative side. Others would wire and bend per branch while some would wire the whole tree then bend to their desired shape for visual stimulation and appeal. Sometimes they follow direction from top to bottom or vice versa. It is important to try and get as organized as possible. Developing a technique with which you are personally comfortable is best. Do whatever works for you best but what is important here is you have to be neat, organized and as much as possible only use few wires. It is true that the way you put the wires are based on what you want, there are specific guidelines that you can follow, and it will make your hobby easier and satisfying. You can wire your bonsai if you are not sure what to do with a branch or you are in the dilemma if you are to remove the branch or leave it be. In general, it is best to keep the branch and wire it because it may be an additional part of your artwork, if not you can always remove it after finalizing your design. It is advisable always to start to wire the thickest branches and use the heaviest wire at first. Slowly but surely move to thinner branches and then thinner wire. This step will keep the process organized and orderly. Do not cross the wires. Make sure you follow the last strands up to the trunk and then to the next branch. 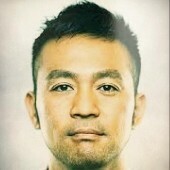 It will result in a stronger hold power, and it will look professionally done. The wires are supposed to be fitted perfectly against the bark leaving no spaces. Wires should not be too tight that it could cut the branch or too loose. The wire is coiled at a 45-degree angle that is aligned to the branch or trunk and places it comfortably on the branch. The 45-degree angle is the ideal angle that can give the best support. If the wire coiled closely together may want to bounce back while the wire that is twisted more than 45 degrees will have wider unsupported spaces and may be prone to breaks and cracks. When putting the wire, make sure that you plan it carefully. Placing it clockwise or counterclockwise will affect the branch when you start to ben them. Here is an example. In the bending process, if you want to move a branch down to the right, and the wire is coiled clockwise, this pattern will cause the wire to tighten a little. On the other hand, wire coiled in a counterclockwise pattern would loosen the wire slightly and would lose the support. 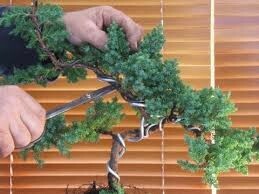 Whenever a wire is placed to your bonsai tree, it needs to be secured to the other parts of the tree especially if it is expected to hold if you apply bending pressure. To know the right gauge to use that could adequately support a branch in place, try pushing on the branch using an extended piece of wire which is about 8 or 10 inches long. You will find out that either the branch will move or the wire will bend. So if it the wire bends, then it cannot support a branch in place because it is not strong enough. Use this method with the other branches until such a time that the wire will not bend and it is the branch that will move, only then you might have found the right gauge of wire for that branch. In the world of bonsai, using the right wiring material is crucial for wiring when growing a bonsai tree. Generally, there are two kinds of wire that you can use: the anodized aluminum and the annealed copper. Copper wire is harder so it is used for wiring conifers and pines. 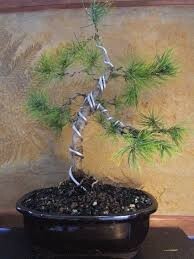 On the other hand, aluminum wire is used for wiring deciduous species of bonsais. Developing a proper wiring technique depends on your will to learn the skill. If you are determined the right way of wiring, then you have to practice more often. It was already mentioned earlier that practice makes perfect. When you bend a branch according to the direction you want, and it did not break then it is a sign that you have successfully and correctly did it, you may already mastered it. As all beginners started, you might struggle a little, and your bonsai may look like a mess, but be patient, be organized and practice because only time will tell if you already developed the skill of wiring.